Operating on relatively low pressure, the sprayer efficiently sprays: glazes, fixatives, medium consistency lacquers, varnishes and enamels. 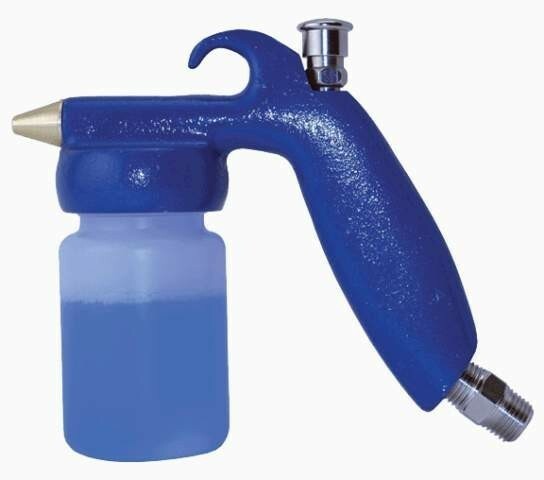 It handles the application needs which fall between an airbrush and a spray gun. Used by ceramists, furniture refinishers, vehicle decorators and other hobbyists. This product was added to our catalog on 02/05/2013.